Il Ponte presents a selection of wholly Italian extra virgin olive oil that fully represents the Italian passion for extra virgin olive oil. 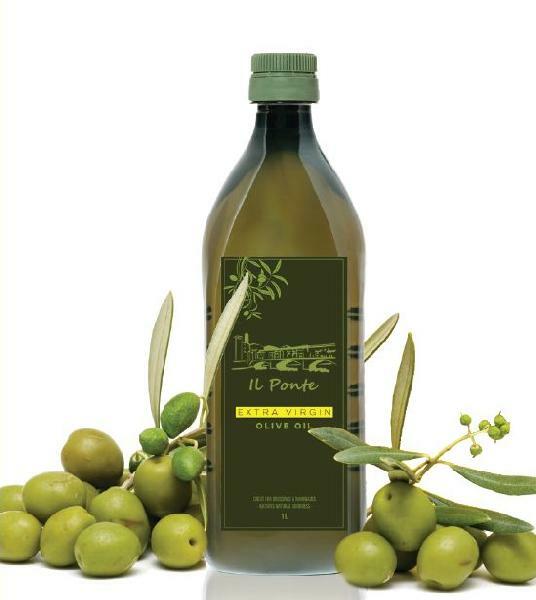 Its made exclusively from olives grown in Italy, accurately selected and pressed by mechanical means only. Its harmonious taste enhances every dish and makes this extra virgin olive oil the perfect dressing to bring out the flavor in the most sophisticated recipes. This oil is ideal for salads, steamed vegetables, soupes, steamed, roasted and grilled meat etc.